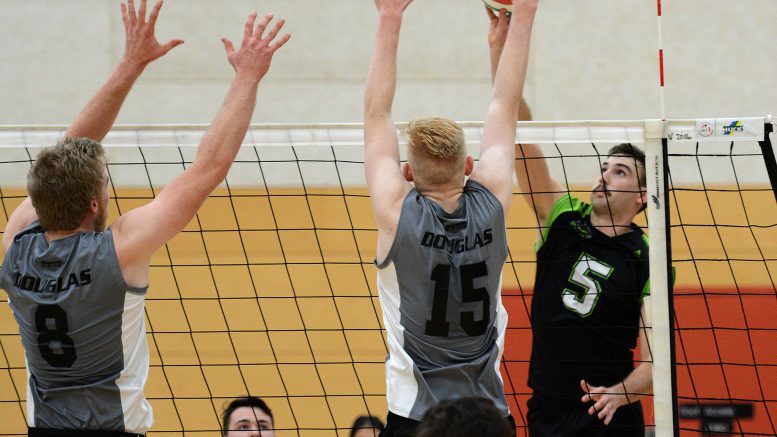 The University of the Fraser Valley men’s volleyball team grew stronger as the match wore on, ultimately dispatching the Douglas Royals in three straight sets on Saturday evening in New Westminster. The Cascades, No. 14 in the CCAA national rankings, were coming off a four-set triumph over the Royals on Friday. After grinding out a 25-22 first-set win to open the rematch, they found their form over the last two sets, closing out the match 25-19 and 25-14. 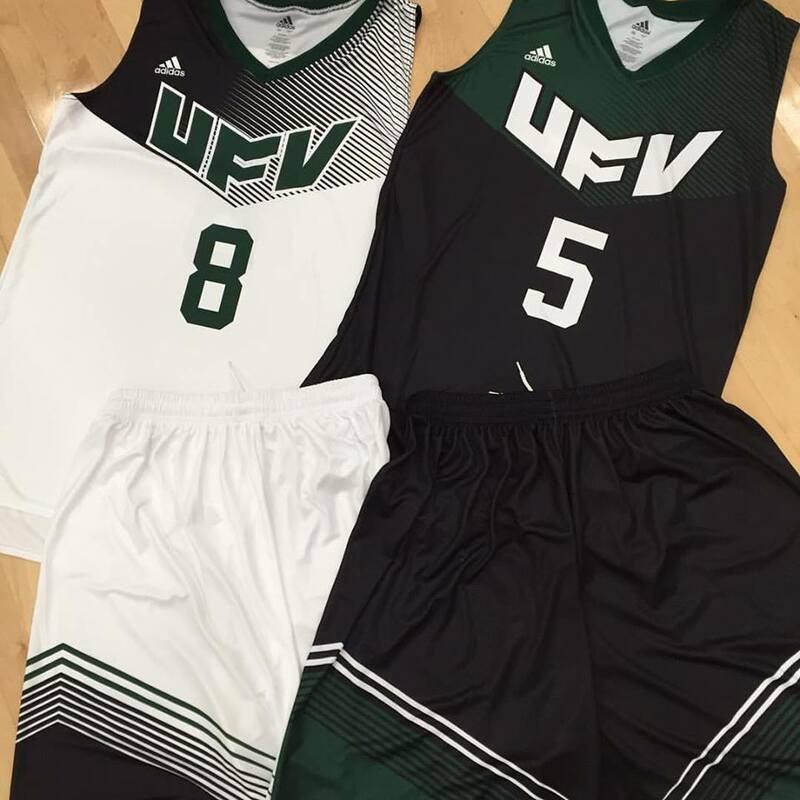 UFV (8-6) is on a roll, having won six of its last seven games with the lone loss coming at the hands of the nation’s No. 4-ranked team, the VIU Mariners. The Royals, meanwhile, fell to 5-9. The Cascades truly hit their stride late in the second set – leading 21-19, they reeled off four straight points to go up two sets to none. They tore off a 10-2 run to open the third and essentially drain any suspense from the proceedings, maintaining a lead in the neighbourhood of 10 points the rest of the way. UFV’s offence was incredibly balanced, as they managed to win decisively despite not having any players in double-digit kills. With setter Adam Frederickson at the controls, Nick Bruce, Ben Friesen and Dayton Pagliericci tied for team-high honours with seven kills apiece, and Matt Whittall had six. Pagliericci and Frederickson had two blocks each, and Pagliericci and Friesen both notched a pair of aces. Bruce had eight digs and libero Evan Bell-Foley registered seven. The Cascades volleyball teams are back on the road next weekend, as they head to Victoria for a Friday-Saturday set vs. the Camosun Chargers. The University of the Fraser Valley women’s volleyball team was unable to follow its most impressive triumph of the season with a second straight win over the nation’s No. 2-ranked team, as the Douglas Royals prevailed in three sets on Saturday. The CCAA No. 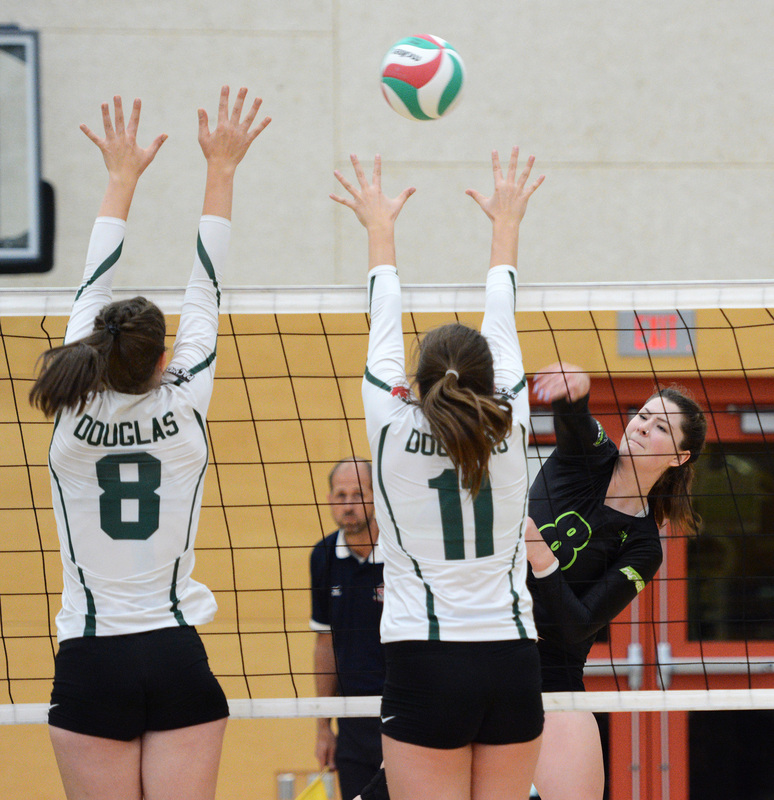 7-ranked Cascades had knocked off Douglas in four sets in New Westminster on Friday, but the host Royals bounced back to salvage the weekend split (25-17, 25-17, 25-22). 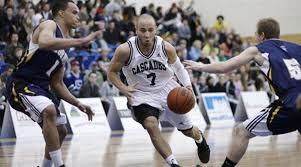 Douglas improved to 11-3, while the Cascades are 8-6. In the first set, the two teams were tied 16-16, but the Royals went on a huge run to win in decisive fashion. They rode that momentum to victory in the second by a matching 25-17 score. The Cascades started brightly in the third, taking an early 7-4 advantage behind a three-point service run from Kim Bauder. They carried the lead into the middle stages of the set, but back-to-back attacking errors gave the lead back to Douglas at 14-13. The hosts kept the Cascades at bay from there, ultimately prevailing 25-22. Gilray noted that his team had a strong blocking performance, but let themselves down at the service line. Amanda Matsui registered eight kills and 18 digs, leading the Cascades in both categories. Cassidy King (13) and Kim Bauder (12) also posted double-digit digs, and setter Olivia Heinen racked up five blocks. Cassidy Pearson was a bright spot on an otherwise subpar serving night for the team, notching two aces off the bench. 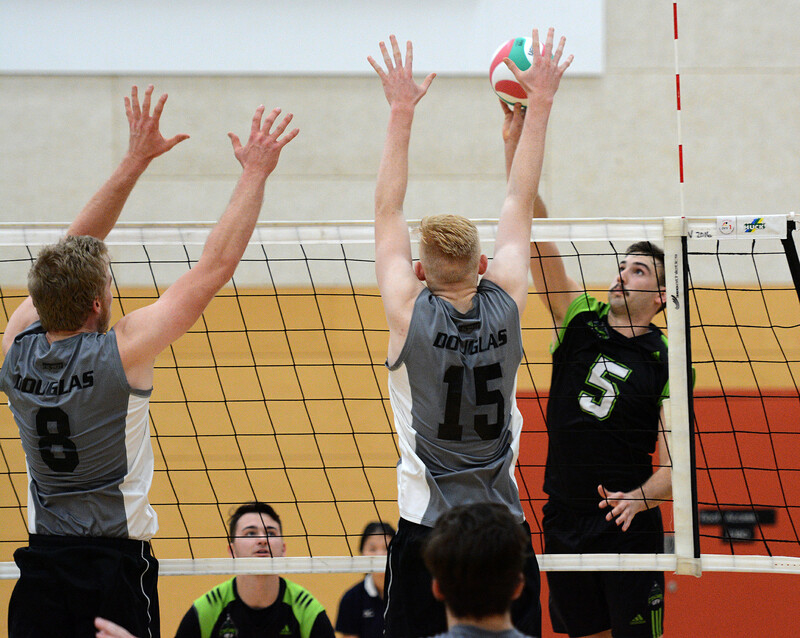 Be the first to comment on "UFV Sports Saturday – Volleyball Against Douglas Royals"